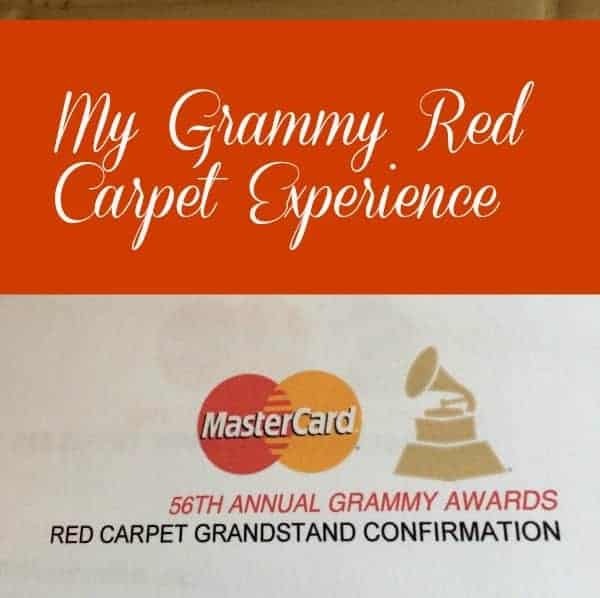 I was so excited to hear that I was going to get to be on the Grammys red carpet compliments of the MasterCard Priceless program. Talk about a priceless surprise! I was giddy with excitement for the 10 days up until Grammy Sunday. The day of the event, my husband and drove to Los Angeles and waited with dozens of other people who were bestowed tickets. 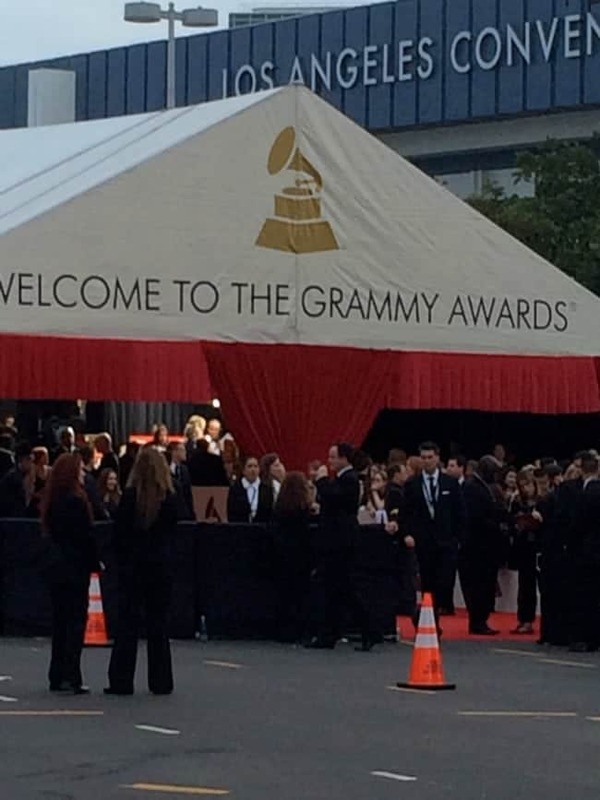 We were ushered behind the entrance tent and into the bleachers at the end of the red carpet. Once inside, we were not allowed to take pictures but I would like to describe to you what that date was like. All of the celebrities that came through the red carpet had to pass by dozens and dozens of photographers from all over the world. The photographers would yell out to the celebrities, who (mostly) would gladly pose in front of a black and white background of gramophones. Katy Perry, who is absolutely beautiful, pointed at the curls in the back of her head and said with a smile, “this is not my hair”. She said it in such a matter of fact way, that made you realize that she has a fun and wittiness about her that is so charming. Ringo Starr, who is bigger than life to me, but in fact, is not a large man. I think he is thinner than I am. I was floored that I would get to see a Beatle in real life. He came in with his wife Barbara Bach and Joe Walsh. Seeing him was a check on my bucket list. Robin Thicke was looking very stylish, like he does on TV. He came by to sign autographs for the Make A Wish Kids that sat in front of us, but he never took off his sunglasses. Blake Sheldon and his wife Miranda Lambert looked smashing together. What a cute and friendly couple! Madonna is tiny! Seriously she is a size zero or two at the most. She came in with her son and was using a cane due to a recent foot injury. Keith Urban, is very handsome. His hair is shorter than he wears it on American Idol right now, but he still looks great. Paris Hilton had the most beautiful dress I have ever seen in person. She was absolutely beautiful, friendly and graceful. It was nice to see her so elegant and classy. There were many people who came by and the day was truly memorable, magical and well, priceless. 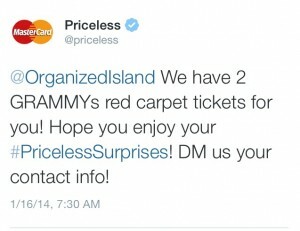 MasterCard did not ask me to write this, I just wanted to share this amazing experience with you. 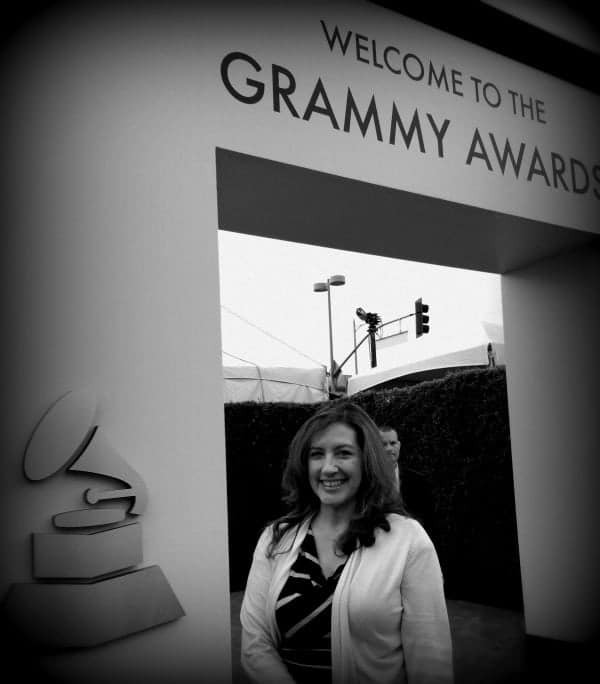 I love Los Angeles and it was a wonderful way to celebrate the Grammy’s on the Red Carpet. 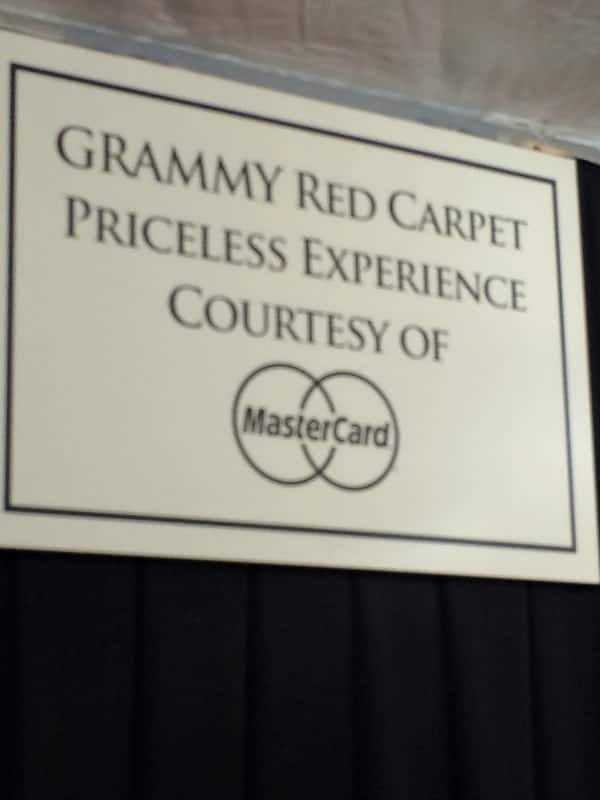 Thank you MasterCard for the priceless and freaking amazing experience! What has been one of the most amazing events that you have been to? Wow! What a story. Now you have me wanting to Google Paris Hilton’s dress from the Grammys. Seeing a Beatle in person? I can’t imagine. 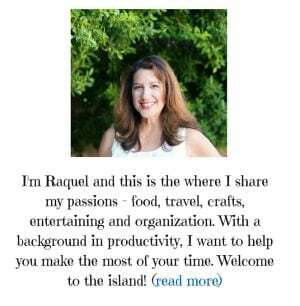 Thanks Katie – it was so memorable! 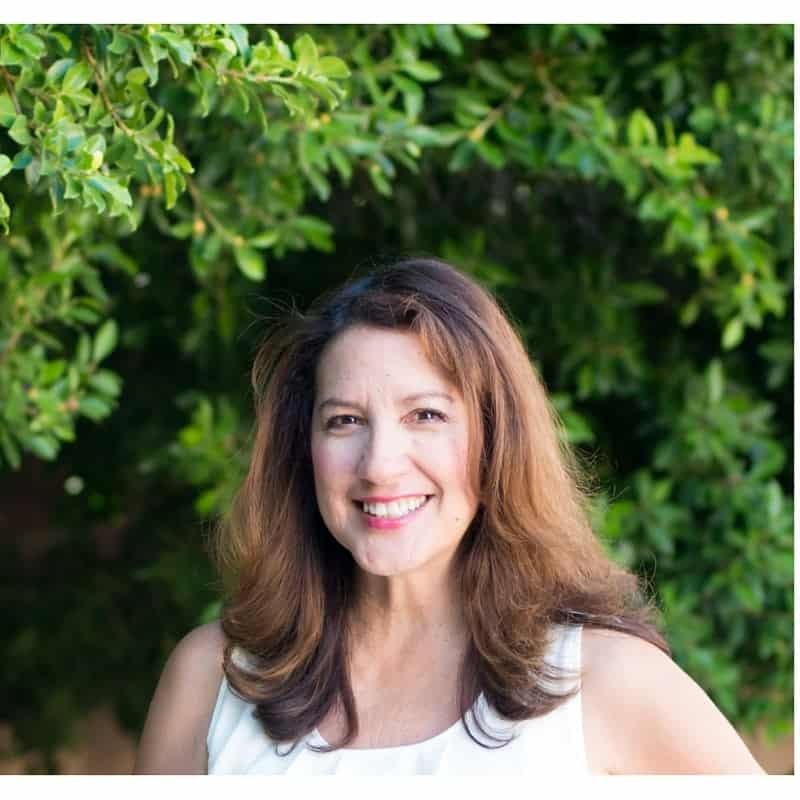 Thanks Dee – I will never forget this day! What an awesome experience! So glad you had a great time! Aww, what a fun date with your husband. I hope he had fun along with you =) Katy Perry, I <3 that woman. LOL. It's fun just seeing the celebrities personalities… a twice in a lifetime experience now! You Lucky Girl you. That is SO COOL! I’d wondered what the deal with Madonna and the cane was. Yes, she did not look like she was moving too well. Still amazing to see her!